June is a month dedicated to weddings. This is the stage when couples decide to bring their relationships one level up or their romance to the ultimate stage to tie the knot. I have been to a lot of weddings usually done in the traditional way - inside the church. No offense and with all due respect but for a millenial like me I find it too conventional. When the time comes that I will be the one to walk down the aisle, I would rather want it to be done outdoor. Just months ago I saw a garden wedding for the first time. When I got home I was daydreaming for sometime wishing I will have the same faith of this lovely bride dressed all-in white. I also dream of getting married in the beach. I have to admit whenever I see photos of celebrity weddings online I feel envious for some reasons. All I think that's why because they have a little more to spend so they always opt to have their dream wedding in the beach. That holding a marriage ceremony under the sun near the seashore is expensive. Until I learned about Casa Astillero Beach Resort in Calatagan, Batangas. This is a campsite suitable for team buildings is now offering affordable, intimate, and unique beach weddings in Calatagan, Batangas. Casa Astillero Beach Resort is a 2,500 sqm pearly white sand site, located at Barangay Santa Ana Calatagan in Batangas. It’s a semi-private beach resort inside Caisip compound where the infamous Villa Sachico and an ancestral house of Zobel de Ayalas are located. Casa Astillero Beach Resort became the most sought camping site, as well as, traveller’s choice when it comes to team building and simple gathering activities. With that, Casa Astillero Beach Resort is embarking on another service, which definitely mirrors the beautiful and pristine beaches in Calatagan – weddings. Last June 2, 2015, Casa Astillero Beach Resort has introduced its enchanting beach wedding services to family and friends, during an intimate gathering.Of the recent company’s success of unveiling another online wedding resource, www.beachweddingvenue.ph, Pam Caisip, General Manager said, “ Our mission to provide an affordable, intimate, and unique beach wedding in Calatagan resonates my personal vision in life. In short, I believe in forever." Casa Astillero is perfect for someone who is looking for an intimate and affordable beach wedding venue in Calatagan. 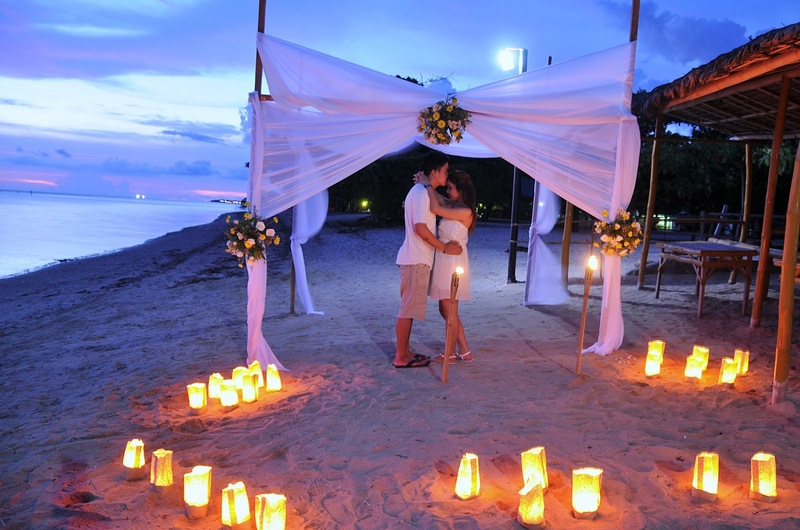 The place is not too big, not too small, which is ideal for an intimate and sweet inspired beach wedding. The beautiful place is equipped with a session hall, which has a capacity of 100 guests, Kabanas, Kubo (Nipa Hut in English), open picnic cottages, and tents for adventurous couples out there! Of course, they have air-conditioned rooms which are spacious enough for families of 4 and/or honeymooners. They also could also provide mattresses for extra person if needed. So there you go fellow future brides-to-be, having your dream perfect beach wedding is just a book away at Casa Astillero Beach Resort.